The WWF Austria has prepared a map of areas with high wilderness potential that could meet the criteria of the European Wilderness Network. 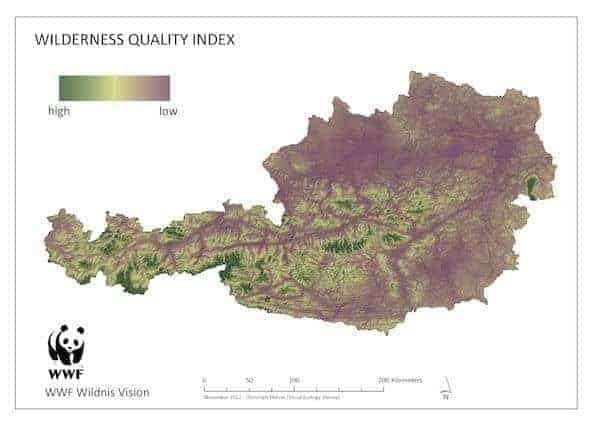 The Wilderness Quality Index Austria clearly shows that Austria has several areas with high potential. Latest wilderness news from Ukraine!